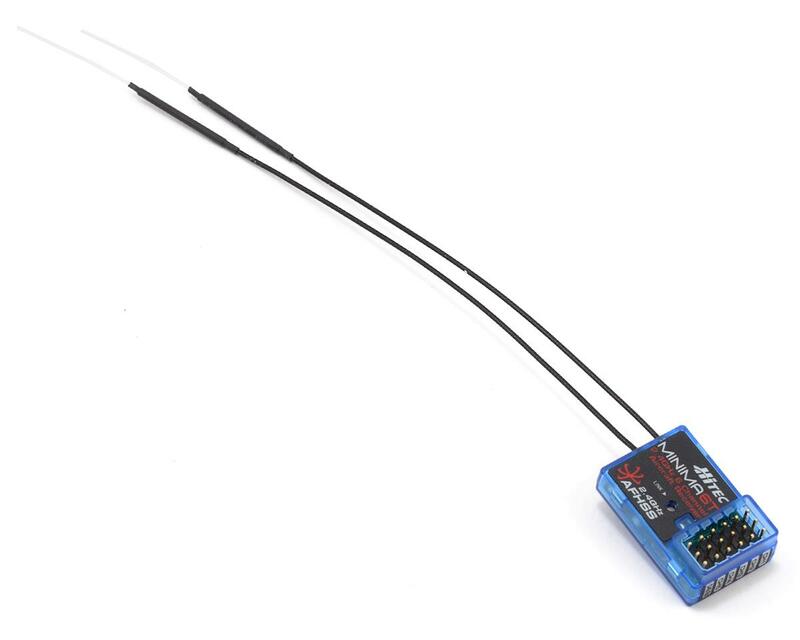 This is the Hitec Optic 5 5-Channel 2.4GHz Airplane Transmitter. 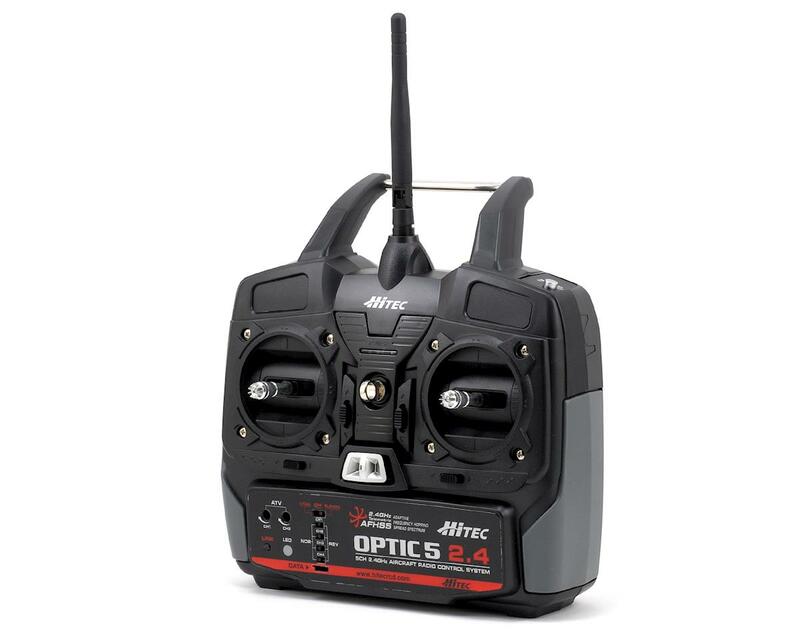 The Optic 5 is the perfect transmitter for beginner pilots. With its simple-to-use design and advanced 2.4GHz technology, this radio will have you flying a variety of models confidently and securely from a basic trainer to more advanced aerobatic-type aircraft. Includes the Minima 6T full-range, micro receiver. 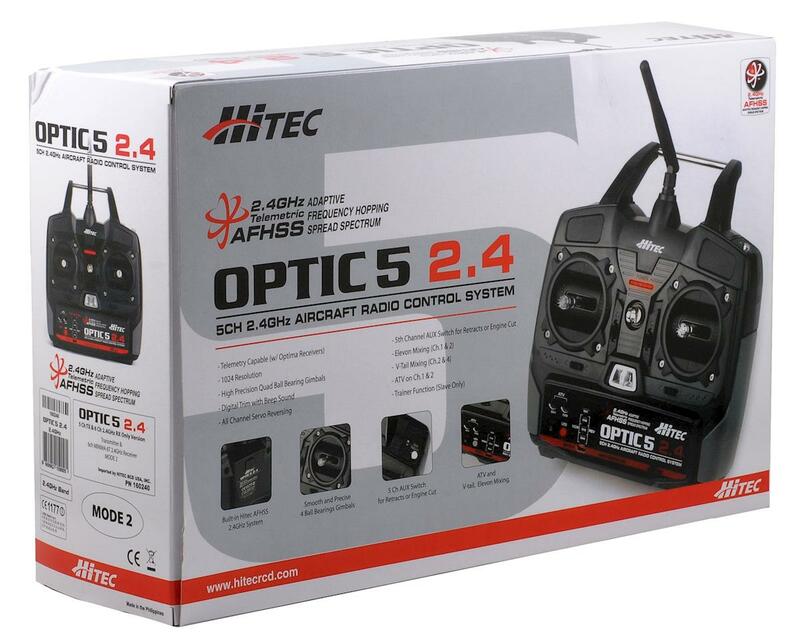 Hitec’s Optic 5 is your affordable and straightforward 2.4GHz radio solution!